OK, what will it take to make security (and privacy) job #1 for the IoT industry? The recent Mirai DDoS attack should have been enough to get IoT device companies to increase their security and privacy efforts. Now we hear that the Hue bulbs from Philips, a global electronics and IoT leader that DOES emphasize security and doesn’t cut corners, have been the focus of a potentially devastating attack (um, just wonderin’: how does triggering mass epileptic seizures through your light bulbs grab you?). Since it’s abundantly clear that the US president-elect would rather cut regulations than add needed ones (just announcing that, for every new regulation, two must be cut), the burden of improving IoT security will lie squarely on the shoulders of the industry itself. BTW:kudos in parting to outgoing FTC Chair Edith Ramirez, who has made intelligent, workable IoT regulations in collaboration with self-help efforts by the industry a priority. Will we be up to the security challenge, or, as I’ve warned before, will security and privacy lapses totally undermine the IoT in its adolescence by losing the public and corporate confidence and trust that is so crucial in this particular industry? Count me among the dubious. Here’s what happened in this truly scary episode, which, for the first time, presages making the focus of an IoT hack an entire city, by exploiting what might otherwise be a smart city/smart grid virtue: a large installed base of smart bulbs, all within communication distance of each other. The weapons? An off-the-shelf drone and an USB stick (the same team found that a car will also do nicely as an attack vector). Fortunately, the perpetrators in this case were a group of white-hat hackers from the Weizmann Institute of Science in Israel and Dalhousie University in Canada, who reported it to Philips so they could implement additional protections, which the company did. “In this paper we describe a new type of threat in which adjacent IoT devices will infect each other with a worm that will spread explosively over large areas in a kind of nuclear chain reaction (my emphasis), provided that the density of compatible IoT devices exceeds a certain critical mass. In particular, we developed and verified such an infection using the popular Philips Hue smart lamps as a platform. “The worm spreads by jumping directly from one lamp to its neighbors, using only their built-in ZigBee wireless connectivity and their physical proximity. The attack can start by plugging in a single infected bulb anywhere in the city, and then catastrophically spread everywhere within minutes, enabling the attacker to turn all the city lights on or off, permanently brick them, or exploit them in a massive DDOS attack (my emphasis). To demonstrate the risks involved, we use results from percolation theory to estimate the critical mass of installed devices for a typical city such as Paris whose area is about 105 square kilometers: The chain reaction will fizzle if there are fewer than about 15,000 randomly located smart lights in the whole city, but will spread everywhere when the number exceeds this critical mass (which had almost certainly been surpassed already (my emphasis). Again, this wasn’t one of those fly-by-night Chinese manufacturers of low-end IoT devices, but Philips, a major, respected, and vigilant corporation. and, as I mentioned before, cause mass epileptic seizures. As for the specifics, according to TechHive, the researchers installed Hue bulbs in several offices in an office building in the Israeli city of Beer Sheva. In a nice flair for the ironic, the building housed several computer security firms and the Israeli Computer Emergency Response Team. They attached the attack kit on the USB stick to a drone, and flew it toward the building from 350 meters away. When they got to the building they took over the bulbs and made them flash the SOS signal in Morse Code. Worst of all, the attack was against Zigbee, one of the most robust and widely-used IoT protocols, an IoT favorite because Zigbee networks tend to be cheaper and simpler than WiFi or BlueTooth. The attack points up one of the critical ambiguities about the IoT. On one hand, the fact that it allows networking of devices leads to “network effects,” where each device becomes more valuable because of the synergies with other IoT devices. On the other hand, that same networking and use of open standards means that penetrating one device can mean ultimately penetrating millions and compounding the damage. I’m hoping against hope that when Trump’s team tries to implement cyber-warfare protections they’ll extend the scope to include the IoT because of this specific threat. If they do, they’ll realize that you can’t just say yes cyber-security and no, regulations. In the messy world of actually governing, rather than issuing categorical dictums, you sometimes have to embrace the messy world of ambiguity. Call me an alarmist, but in the wake of the “Interview” catastrophe (that’s how I see it in terms of both the First Amendment AND asymmetrical cyberwarfare), I see this as a clarion call to the #IoT industry to redouble efforts to make both security AND privacy Job #1. Here’s the deal: if we want to enhance more and more parts of governmental, commercial, and private lives by clever IoT devices and apps to control them, then there’s an undeniable quid pro quo: we MUST make these devices and apps as secure as possible. I remember some bright young entrepreneurs speaking at a recent wearables conference, where they apologized for not having put attention on privacy and security yet, saying they’d get to it early next year. Security must be built in from the beginning, and constantly upgraded as new threats emerge. 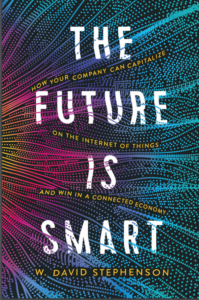 I used to be a corporate crisis manager, and one of the things that was so hard to convince left-brained, extremely rational engineers about was that just because fears were irrational didn’t mean they weren’t real — even the perception of insecure IoT devices and apps has the potential to kill the whole industry, or, as Vanity Fair‘s apocalyptic “Look Out, He’s Got a Phone” article documented, it could literally kill us. As in deader than a doornail. This incident should have convinced us all that there are some truly evil people out there fixated on bringing us to our collective knees, and they have the tech savvy to do it, using tools such as Shodan. ‘Nuff said? PS: Here’s what Mr. Cybersecurity, Bruce Schneier, has to say on the subject. Read carefully. Want to help plan how Internet of Things will transform government? Join my new GovLoop group! Have no doubt about it: the Internet of Things will transform government, affecting public security, defense, environmental protection, transport, and health. If you’d like to be part of the community planning how to help government capitalize on the IoT, please join my new GovLoop community on the topic!